Defense Minister: If airstrike attributed to Israel hadn't taken place, serious terrorist attacks against Israelis would have taken place. Defense Minister Moshe Ya’alon on Thursday refused to confirm or deny that Israel was behind a recent airstrike in the Syrian Golan Heights which killed a senior Hezbollah commander and an Iranian Revolutionary Guards general, but said that the elimination of these terrorists was necessary. Ya’alon spoke to Channel 10 News a day after two IDF soldiers were killed when Hezbollah terrorists fired antitank missiles at their vehicles in the north, in what is a likely retaliation by Hezbollah for the airstrike in the Golan Heights. The Defense Minister said that if the airstrike in the Golan had not taken place, Israelis would have later asked how the defense establishment had allowed a terrorist attack against Israelis. He added that the IDF was properly prepared over the last two weeks in view of the threats voiced by Iran, Syria and Hezbollah after the attack that was attributed to Israel. The IDF convoy that was attacked traveled on a less vulnerable route, he said, and noted that it is impossible to completely cut off northern Israel. “The road that was attacked is one that vehicles must travel through. It is impossible to completely stifle the north. There are other roads that are exposed. You cannot stop the civilian life in the north. How can you block the entire north with concrete barriers?” said Ya’alon. “In any case,” the Defense Minister stressed, “we are investigating [Wednesday’s incident] and if we find that if there is room for improvement, it will be done. There was no negligence on the part of the commander of the convoy, nor on the part of anyone else." 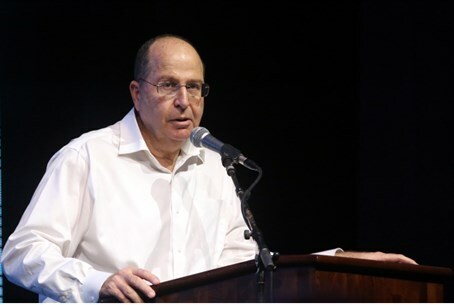 Ya’alon responded to concerns voiced by Israelis living in the north that Hezbollah is digging terrorist tunnels from Lebanon, similar to the ones dug by Hamas from Gaza into southern Israel. Israeli forces on Thursday resumed their search for possible Hezbollah terror tunnels leading into Moshav Zar'it, on the Lebanese border but so far, Ya’alon said, nothing has been found.